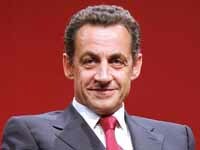 To the world, French president-elect Nicolas Sarkozy sends this message: France is back. Sarkozy said in his victory speech Sunday that his France will stand up against tyranny, dictators and fundamental Muslim oppression of women - a global vision more in line with U.S. President George W. Bush than Jacques Chirac, who defied Washington over Iraq and has been criticized for cozy ties with authoritarian rulers. By urging the United States to take the lead on fighting global warming, Sarkozy also signaled that an invigorated friendship with Washington would not mean subservience. His speech provided comfort to a populace worried that France's global voice is fading. Sarkozy has won the label "Sarko the American" for openly admiring the get-up-and-go spirit in the United States, and indicated that he would toe a less accommodating line toward the Arab world than his predecessors - whose close ties to the Middle East were rooted in France's past as a colonial power in the region. Overall, though, his campaign gave short shrift to foreign policy and his limited international experience has left many wondering how he will steer France in global affairs. Sarkozy sought to quell that uncertainty in a speech barely 30 minutes after his electoral triumph Sunday night. France, he said, will stand alongside "all those persecuted by tyranny, by dictatorships." He reached out to "all those in the world who believe in the values of tolerance, freedom, democracy and humanism." "France will not abandon women who are condemned to the burqa," the full head-and-body covering worn by women in Afghanistan and more pious Muslim women in Britain and elsewhere, he said, without elaborating on how that would translate into policy. Sarkozy was a member of the government that instituted a law banning headscarves and other "ostentatious" religious apparel in classrooms. In his speech Sunday, he appealed for all warring parties in the Middle East to "overcome hate." "France will be at the side of the world's oppressed," he went on. "That is the message of France, that is the identity of France, that is the history of France." While some of the language was reminiscent of Chirac - a fellow conservative and one-time Sarkozy mentor - the message itself was new. "This is a new generation," Heisbourg said. "It is a clear change. It is values rather than interests." Chirac, too, spoke often of tolerance - but critics said that meant tolerating African dictators with whom France harbored longtime ties, and turning a blind eye to human rights abuses in Russia and China. Though he cajoled the Western community into intervening in Bosnia in 1995, Chirac later spoke more of cultural understanding than exporting Western values. Both Chirac and Sarkozy say the U.S.-led war in Iraq was a mistake, and the president-elect has called for a deadline for a U.S. pullout from Iraq. But Sarkozy has not let that dampen his enthusiasm for the trans-Atlantic relationship: He eagerly met with Bush last September, drawing criticism from a populace that has had a complex and sometimes bumpy relationship with the United States. He has also indicated that he would oppose war against Iran, though analysts predict he will stake out a tough stance in the coming weeks in international efforts to keep Iran from developing nuclear weapons. The most obvious shift is likely to be felt in the Arab and broader Muslim worlds. Sarkozy has reached out to France's 5 million Muslims but has also been more open to Israel than Chirac; his support among French Jews was very strong.